A few weeks ago, a friend of mine insisted that my life would forever be incomplete until I read one of her new favorite books Demons at Deadnight by A&E Kirk (a mother and daughter writing team). I loved that it was a family writing team, since we at MMW get to here from a sister act here. But the story, sucked me in from the very very beginning. The main character's unique voice made me laugh and cheer her on. And the group of teenage boys, The Hex Boys, are so adorable. I finished the book a week ago and I keep opening my kindle wanting to read more. I am not certain when the sequel will be released but it will make the top of my to read list when it does. I hope my characters will be as memorable as A&E's. 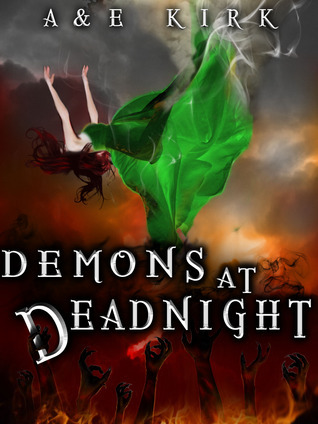 If you haven't read Demons at Deadnight I insist. You will fall in love. Unless I hear differently about the next book in the series; I most likely won't be looking to buy it in paper form and take up room on my shelves.